Two years ago, Steve Mazur and Eric Huang, co-founders of Detroit-based Ash & Erie, makers of shirts for shorter men, were searching for suppliers to produce their classic woven, button-down shirts in Detroit. They soon learned it was impractical and took the production overseas. While watchmaker Shinola has enjoyed immense success, the company has run into obstacles scaling because it lacks a highly-skilled, trained workforce necessary for the intricate sewing and leather cutting required in many of its products. 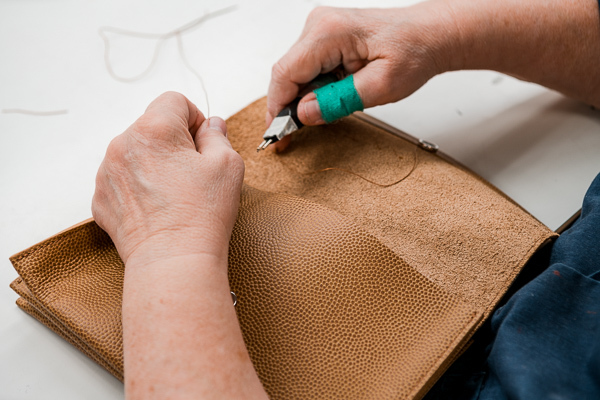 It means each employee hired to sew and cut leather has to be trained from scratch, a tedious process that takes up to six months. These companies are emblematic of other Detroit design and fashion entrepreneurs bursting at the seams to launch, grow, or develop, but who aren't finding the infrastructure needed to flourish locally. The businesses say they face difficulties finding skilled, experienced professionals to sew, cut, and make patterns, as well as local manufacturers able to affordably produce smaller product batches. That's why efforts to create a vibrant textile industry in Detroit are underway. Important players in the city's design and manufacturing fields are working to boost local skilled labor and bring production back home. That's where Jeffrey Aronsson comes in. The former Donna Karen CEO who spent three decades in New York's fashion and luxury apparel industry decided to relocate his consulting business to Detroit. Mayor Mike Duggan personally charged him with the task of creating a textile design and fashion production hub in the city. Aronsson imagines a campus where early, high-potential design and fashion entrepreneurs can get prototypes made and engineered for production, and manufactured without all the obstacles that drive their work to countries such as China, India, Vietnam, or other American cities. "What I actually see is something that I don't think exists yet on the planet, and the time is right for it to happen now," says Aronsson. "The industry is right for disruption and that disruption usually comes about in chaos, when people have to do something different when what is being done now simply isn't working. A lot of the functions of everything from design, product development, production, and logistics back to the consumer are dysfunctional. One of the reasons for that is because of the focus on the cost of labor as a chief component to the cost of goods." He says it's the reason New York City's garment district is failing, and the reason why a new model for the $2.5 trillion fashion industry could be created in Detroit. What he didn't initially know was that some Detroiters were already collaborating and had similar ideas to develop the city's ecosystem for the textile manufacturing industry. Now, he's working with them. 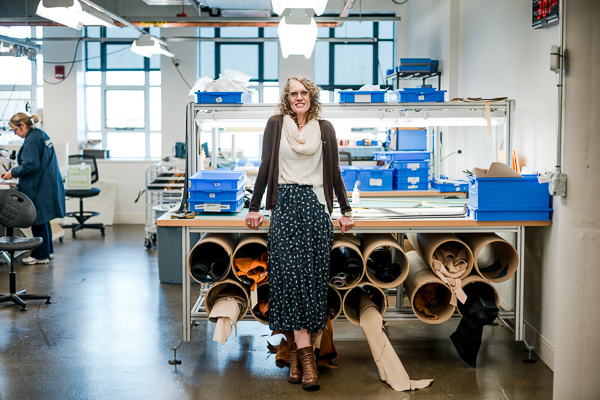 Jennifer Guarino, Shinola's Vice President of Manufacturing, has teamed up with other clothing companies, such as Ash & Erie, Detroit Denim, and Maggie's Organics, along with the Lear Corporation, to create the Industrial Sewing and Innovation Center. An academy and factory in one, master-level experts will train workers to sew, cut leather and other fabrics, make patterns, and operate emerging technology such as robotics to create products, all while taking on contract work. Part of the project includes a U.S. Department of Labor-approved apprenticeship program, and a pre-apprenticeship certification program that will be taught at Henry Ford College starting next month. "It's a national problem," Guarino says. "The industry has been shrinking for the last 30 years, after factories started closing and the factories that were left didn't have the resources to invest in training. So we have to make up for a generation of not training people in this industry." Not having trained workers has an enormous effect on a company's bottom line, she says. "It takes longer for us to become profitable. The main thing is it hurts your margins. Try to envision someone who can frost a beautiful cake, but it takes them six hours. You're not going to make any money on that cake. It comes down to that. We have to train everybody in the watch factory from scratch." It's still an open question whether or not it makes sense to pursue all this manufacturing infrastructure in Detroit. But Bonnie Fahoome intends to find out. The Director of Business Programs for Detroit Creative Corridor Center got Detroit included in an Urban Manufacturing Alliance study which is analyzing manufacturing needs, assets, gaps, and opportunities such as job creation and neighborhood development for small to mid-size companies in cities, including Baltimore, Cleveland, Milwaukee, Philadelphia and Portland. For the assessment, four manufacturing focus groups were conducted in August, one of which targeted the fashion and textile industries. The data will be analyzed in preparation for a national report, a Detroit-specific report, and a resource list that will detail company contacts and products and services they offer. The Detroit report is expected to be released in late January. 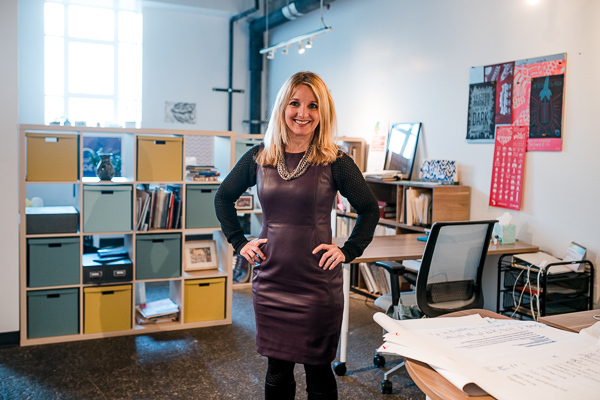 "Our role is to be stewards to identify and support the development of design-related companies, finding out what they need from us, seeing them grow in whatever capacity we can," she says. "We will help them understand how to scale, and serve as a partner to help them get their voice at the table and connect them with resources. There are a lot of people doing a lot of things out there in the maker community, fashion, and textiles." All this may make a way for companies such as Ash & Erie to eventually manufacture in Detroit. Mazur, whose shirt company recently was featured on ABC’s "Shark Tank," and received a $150,000 investment from billionaire Mark Cuban, says he and his partner want to find local production partners. "We would definitely love to make all our clothes in Detroit, or even Michigan, if possible," he says. "We have the sales, we have the volume; we would love to place orders here. It would save us a ton of time and hassle when it comes to sampling items." For now, the company sells its shirts and a newly launched jeans line (which are made in Los Angeles) online. It is featured among businesses in the Bedrock Holiday Market that will run through January 7. The same is true for Tommey Walker, owner of Detroit vs. Everybody, a T-shirt line that sells online and at three brick and mortar stores. While he has a workshop for printing and embroidering, the company's shirts are manufactured in Asia. "A project like this is ahead of its time," says Walker, who has been meeting with Aronsson and other fashion and textile-related companies. "When this hits, it will be like a well-oiled machine and with the resurgence of the city, this can be as innovative as the Model T Fords." Aronsson says he has been discussing the idea with "some of the biggest apparel companies in the world" and he has been met with "tremendous enthusiasm." "They are basically saying, 'We want to support it. If you make it, we will buy it,'" he says. "We've got a lot of disciplines and capabilities that we are going to need to marshal this. … People are enthusiastically embracing this, and it feels like life has set you up when you can bring relationships, insight, and the experience of a career to do it. How lucky to have that opportunity. It's a huge responsibility and it's very humbling."